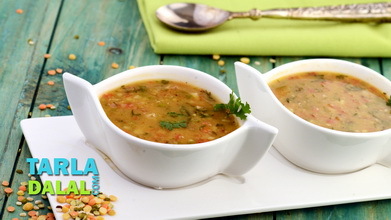 Organize an outdoor lunch-dish up hot bajra rotis and serve with khandeshi dal-they make an amazing pair. 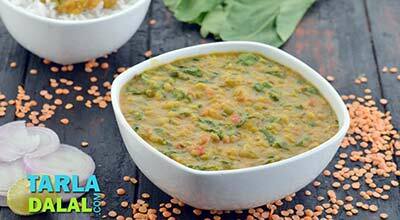 Moong, masoor, toovar and urad dals are cooked with a spicy paste made of onions, dry coconut, chillies, pepper and more. 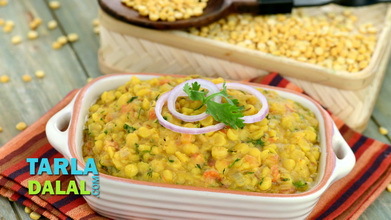 A fiery tadka adds deeper flavor to the dish and brings out beautiful colors of the dal. Have fun! Clean, wash and soak the dals in water for 2 hours. Drain. 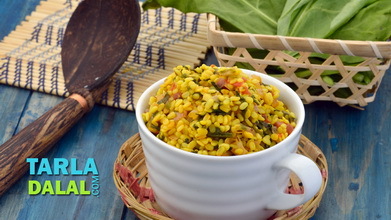 Combine the dals, 2 cups of water, salt and turmeric powder in a pressure cooker, mix well and pressure cook for 2 whistles. 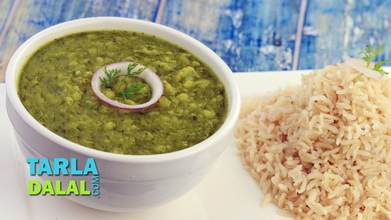 Transfer the dals to a deep bowl. Keep aside. Heat the oil in a non-stick pan, add the coconut and onions and sauté on a medium flame for 2 to 3 minutes. Add the red chillies, coriander powder, cloves, cardamom, cinnamon and peppercorns and sauté on a medium flame for another 1 to 2 minutes. Add the garlic and sauté on a medium flame for a few more seconds. Once cooled, blend in a mixer to a smooth powder and keep aside. 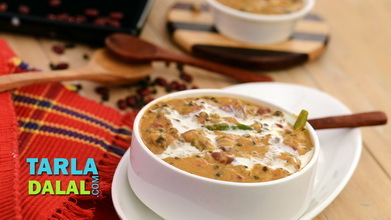 Add 1/2 of the prepared masala to the dal, mix well and keep aside. Heat the oil in a small kadhai and add the mustard seeds. When the seeds crackle, add the red chilli and bayleaf and sauté on a medium flame for 30 seconds. 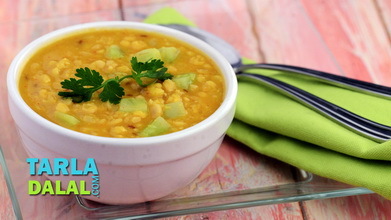 Add the prepared dal mixture, mix well and cook on a medium flame for 2 to 3 minutes, while stirring occasionally. 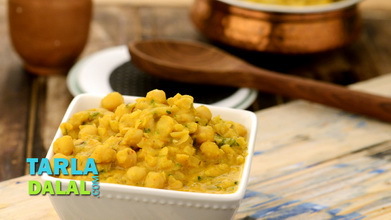 Add the lemon juice and coriander and mix well and cook on a medium flame for another 2 minutes.